Alphabet Cakes are one of our special cakes. Alphabet Cakes are quite popular among kids as they love to see their birthday cakes in their initials. Our Alphabet Cakes are made from natural and fresh ingredients and are mouth watering. They are tastefully decorated and can be sent as gift on many occasions but they are especially suited for birthdays. 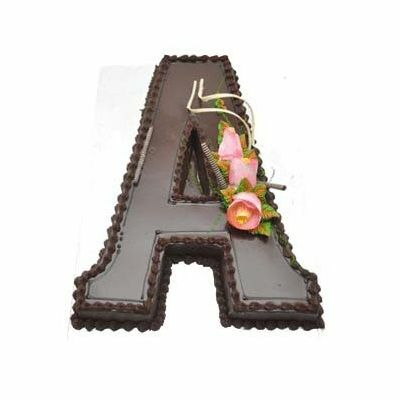 Send this Chocolate cake online and delight your loved one with our thoughtful Alphabet Cake. 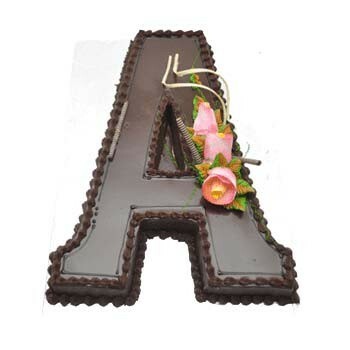 The Alphabet Cakes weigh 2 kg are available in all alphabets from A to Z. We make home delivery service and offer midnight delivery service as well.